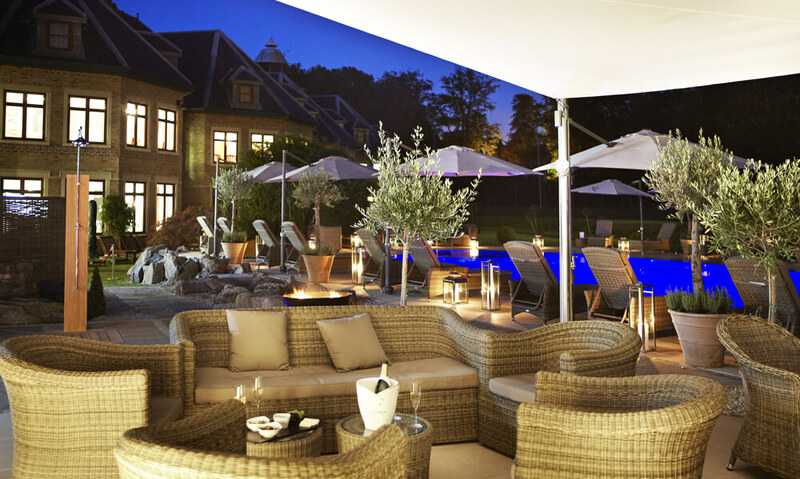 Sparcstudio worked closely with Danny Pecorreli and the Spa team to enhance and upgrade the extensive Spa gardens at Pennyhill Park, creating a landscaped environment more convivial to socializing, relaxing, eating and drinking. A large circular bar and barbeque deck area, which has become the social hub of the garden was formed under an elegant retractable sail awning, and the number of al-fresco dining covers and revenue from food and drink has been substantially increased. A generous stone surround was added to both sides of the swimming pool, allowing for poolside lounging under large retractable parasols. The addition of further sun deck areas, lounge and dining seating, hurricane lamps and formal planting create a more cohesive, luxurious & romantic feel. 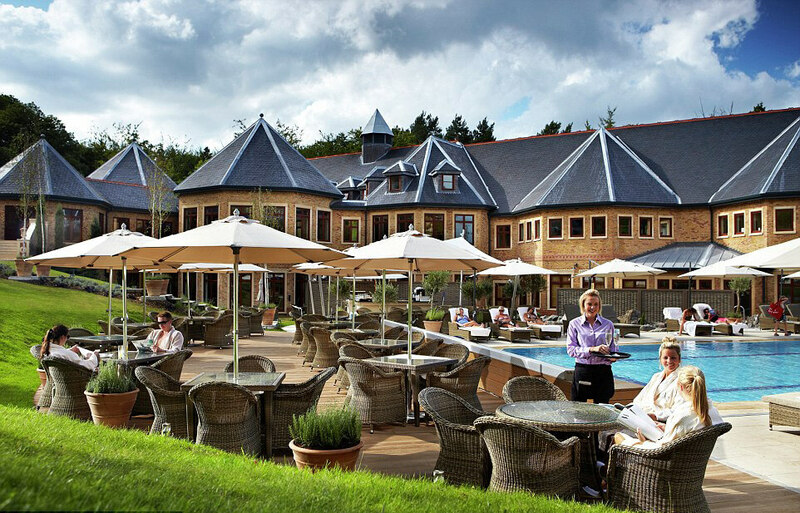 The spa garden, which now appeals to the diverse needs of the spa members, day guests and hotel residents, is very definitely the place to ‘see and be seen’. 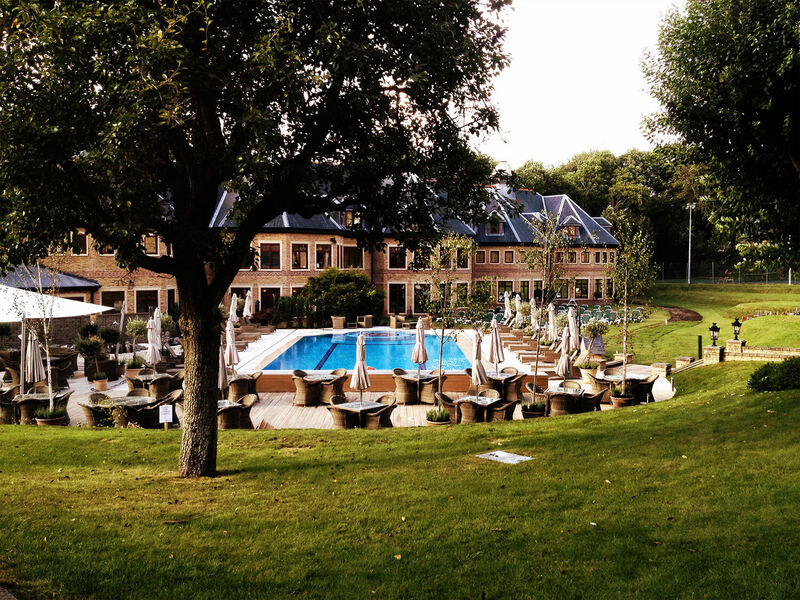 Spa gardens are a real passion of ours, which began with the design of Calcot Spa. With careful thought and planning spa gardens can offer year round al fresco spa and relaxation experiences. 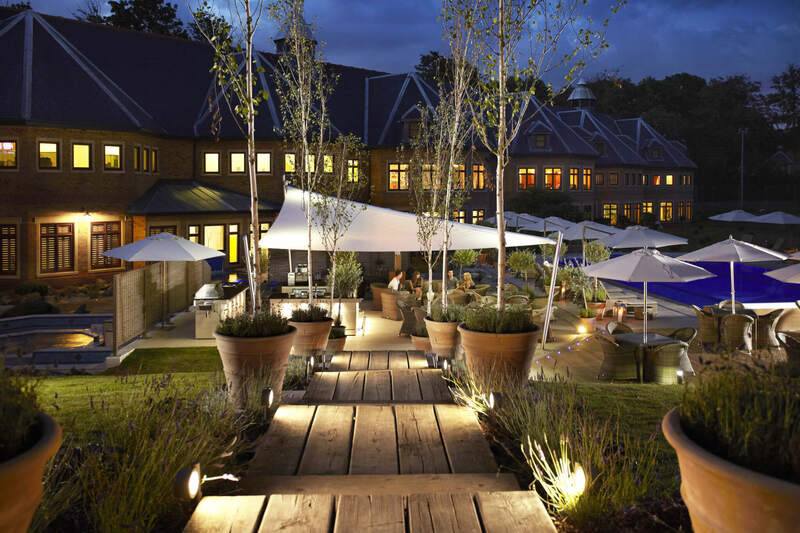 Outdoor spa areas are almost as important to the overall experience as the indoor spaces, particularly when they are in a beautiful setting like Pennyhill Park.